If you are involved in any type of investments, or are even thinking about investing into real estate, many people will automatically tell you that commercial real estate is where the money is made. The truth is that they are absolutely right. However, before you begin investing into commercial real estate, there are some investing tips you should be aware of so that you find the best deals and see the best rate of return. While there are many different commercial real estate investing tips for private investors that can be learned, there are seven investing tips that are critical for commercial real esate investing success. Familiarize yourself with these investing tips before you begin to search for an investment property. Understand The Basics. The first thing that you must realize is that commercial real estate property is valued differently than residential property. Useable square footage determines the value of commercial properties rather than overall size. Leases also run for longer periods with commercial properties, ensuring cash flow for longer periods of time. A final difference is the fact that commercial properties often see higher year-over-year property value increases due to growing demand for retail and warehouse space. Learn What Makes A Good Deal. The best commercial real estate deal is one that you can easily walk away from if you find it necessary. Always look over every aspect of the deal, including potential repairs you will need to make, the demand for properties in the area, and if there are current tenants or if there are any pending offers for occupancy. This is a skill that must be learned. When you are first starting out, it is helpful to work with a professional, like those at the LeeChang Group, to help you find the best deals in the Inland Empire Area. Understand The Terminology. A lot of times the agents working for the property that is for sale will start blurting out financial terms and building jargon. It is important that you understand common phrases like “Net Operating Income,” “Cap Rate,” and “Triple Net Leases” before you begin to look for a property. If you are really anxious to start investing into commercial real estate, work with a professional agent to learn the terms of the trade. Familiarize Yourself With The Neighborhood. One of the best investing tips for you to master is to learn about the area you are interested in investing into. Go to open houses at available properties, talk to business owners that are leasing properties. See what people think about the area and the pricing. If everyone seems very happy, then you have found a good area. Look For Motivated Buyers. Properties that are distressed, under probate, part of a divorce settlement or a business closure that becomes available for sale are usually really good buys. The owners want to move the properties quickly and will be willing to negotiate with any truly interested party. Know Your Personal Finances. Make sure that you are knowledgeable about what you want from the commercial real estate investment. Before you purchase, determine what you are qualified to purchase and what your income generation goals are. Having all of this information at hand when you begin the process will allow you to fine tune your search for the perfect property. Work With A Professional. Even though many people opt for the DIY approach to commercial real estate investing, the most important of these investment tips is that you work with a professional real estate representative when looking for the right property. Their knowledge and skill will not only help you secure the best deal, they also have the ability to access properties for sale that may not be available on the open market at the time you begin your search. A report issued by Department of Commerce for the United States shows that warehouse properties continue to increase in demand year over year. At this time, savvy investors will look to warehouse and other commercial properties for investment purposes as a way to build assets and increase the overall value of their portfolios. To learn more about commercial industrial investment opportunities, please do not hesitate to contact us. 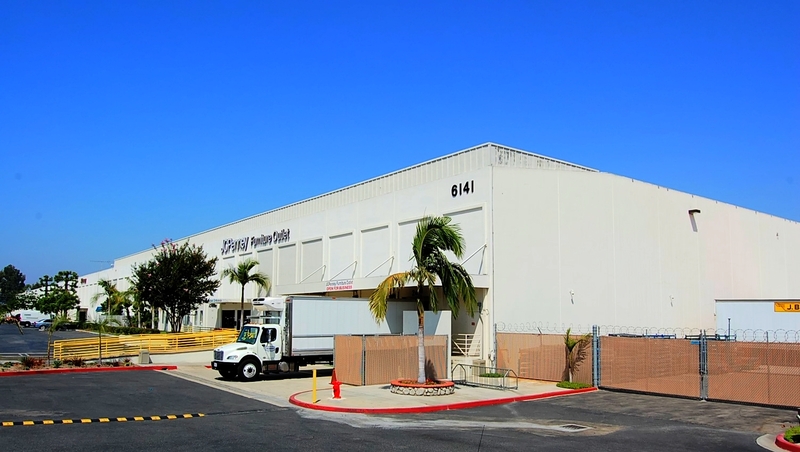 Meanwhile, please browse our industrial real estate sales portfolio. FIRM SPECIALTIES. Services include Property Dispositions, Property Valuations, Investment Sales, Buyer Representation, Tenant Representation, and Landlord Representation. Industrial/Investment Commercial Property Experts serving Inland Empire (Riverside County, San Bernardino County), and Los Angeles County.